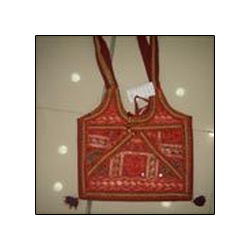 Indian Ramdev Handicrafts offers you ladies attractive hand bags. These all are made by our hardworking rural artisans. We are leading suppliers of handmade textiles. 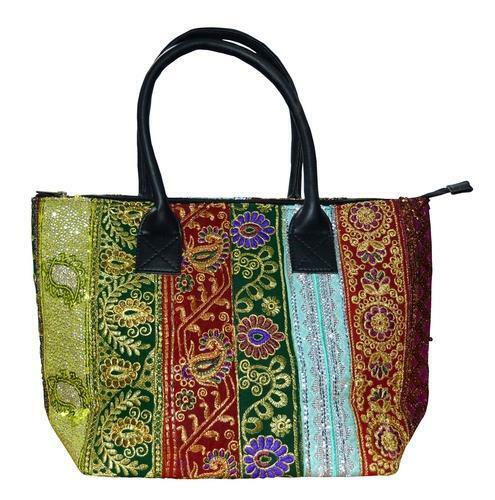 These patch work Vintage look Banjara Bags are produced using quality raw material and durable lining. 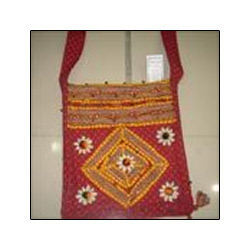 These bags are easy to carry with all kind of traditional and modern dresses. 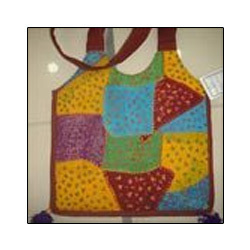 Our company provide this range of bags in various attractive color and designs. And With Shipping pay By customer as on. 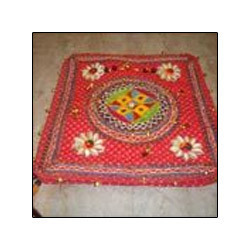 In our large product catalog we are providing a huge collection of vintage style mirror work Gujarati banjara bag. As per the name these bags are designed by our creative designers collaborating latest trend of fashion. These Fancy Linen Bags are manufactured using quality raw material and durable lining. This confirms a long lasting life and sturdiness to our bags. These bags are easy to carry with all kind of traditional and modern dresses. In addition to these bags are also vary latest in terms of design. We have marked a distinct position in the market by facilitating our esteemed customers with Red Beautiful Bag. Our bag is made using quality approved fabrics under the guidance of our skilled professionals in compliance to meet defined market trends. Furthermore, we provide these products in variety of colors and beautiful patterns so as to perfectly match the preferences of our valued clients. 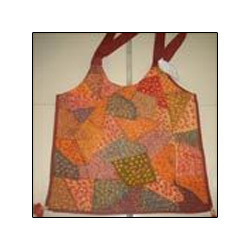 With the advent of modern methods, we offer Patchwork Design Bag to our clients. Our designer products feature enticing appearance due to which clients prefer these over others. Offered product line further is ensured for its seamless finishing since it is strictly checked by our experienced quality controllers. 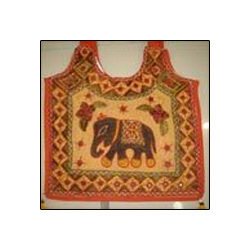 Over the period of time, we have marked a distinct position in the international market by offering finest quality Banjara Bag. Our bag is made using quality approved fabrics and other basic materials under the guidance of skilled craftsmen. In addition to this, to meet specific demands of the customers, we provide these in various colors and patterns. 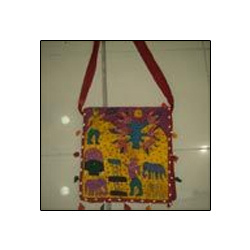 We are one of the leading manufacturers, suppliers and exporters of a vast assortment of Embroidered Bags. These bags are manufactured with the use of superior quality fabrics, yarns and other basic materials, sourced from trusted vendors of the market. Moreover, our entire range is made available in host of designs, patterns and colors in order to meet preferred demands of our valuable customers. We have in store with us the Multicoloured Bag, which is available in various designs, sizes and colours in order to meet the diverse requirements of the customers. 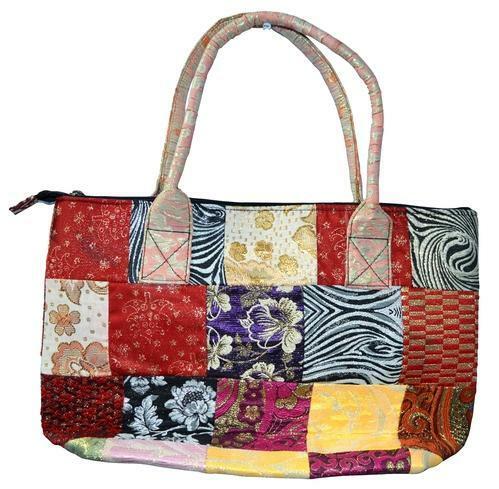 This multi coloured bag is made using fine quality materials, fabrics and is perfect for shopping. Our offered multi coloured bag is designed as per the set industry standards and can be further custom made as per the requirements of the customers. 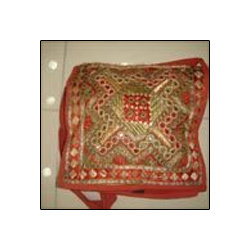 We are engaged in offering Mirror Work Hand Bag, which is designed using fine quality materials and cloth. 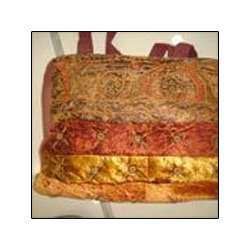 This bag is at par with the defined industry standards and can be purchased at market leading prices. Available with us in different sizes and designs this is at par with the defined industry standards and can be further custom made in terms of size, design and colour as per the requirements of the customers. Looking for “Designer Hand Bags”?